What is an AFA Clay Peel Facial? AFA Clay Peel Facials are loaded with antioxidants to help exfoliate your acne prone skin and help retain moisture. The secret is its ingredients: Amino Acid Filaggrin based Antioxidants (AFA) Clay Peels are formulated using the same type of amino acids found in your body. They work naturally to boost the moisture in your skin. For patients looking for an effective way to treat their scars and acne-prone skin, the AFA Clay Peel Facial is one of the best treatments available with the least amount of irritation. Filaggrin is a protein that is naturally found in the upper layer of our skin. When it metabolizes, it becomes acidic moisture that helps to retain amino acids. It is these amino acids that are used to create an AFA Clay Peel, mimicking and boosting your skin’s natural ability to retain moisture. First, the AFA Clay Mask is applied. Remaining on your face for five minutes, it works to draw out impurities and absorb any excess oil from your face. When complete, it is carefully removed with water. Following the mask, the AFA Peel is applied. It exfoliates your dead skin cells and removes any remaining impurities, all with minimal irritation to your skin. The result is smoother, tighter feeling skin that stays hydrated, helping to soften scars and subdue acne. A: In total, you can expect an AFA Clay Peel facial treatment to take 30 minutes to complete. 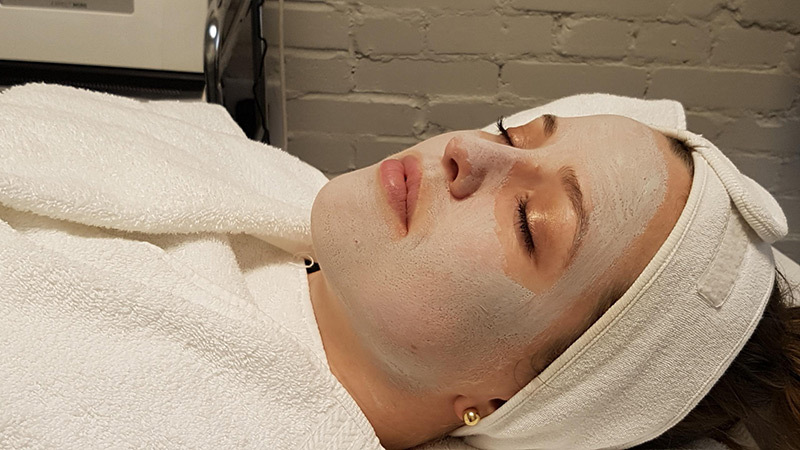 A: You may experience some redness in the face for a few hours following treatment, but unlike other treatments, an AFA Clay Peel facial has zero downtime. A: Midtown Med Spa suggests a series of four to six AFA Clay Peel treatments for optimal results.